China and the United States simply cannot afford to be adversarial. In recent years, the relationship between China and the United States has been a story of success. The two countries are each other’s largest trading partner, and have grown bilateral trade from a value of $100 million in 1972 to $649 billion in 2016. An extraordinary degree of people-to-people contact in all walks of life — from students to tourists to professionals and academics — brings our societies closer every day. The 350,000 Chinese students studying in the United States are a vote of confidence in the importance of this relationship. More and more Americans, especially young people, are choosing to visit China and learn Mandarin. There is much to be proud of. Consequently, as someone who has dedicated much of my life to enhancing relations between China and the United States, I am disheartened to read in American newspapers, and to hear from friends in the United States, that some Americans feel betrayed. 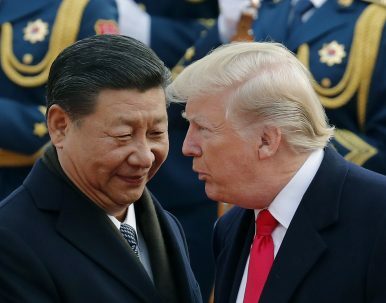 They are disappointed that, after four decades of largely positive relations between the two countries, including American support for China to enter the World Trade Organization, China has not become more like America. To them, China is more like an economic competitor; and strategically, its moves in the South China Sea and other areas make it a potential rival, or even adversary. These grievances are serious and warrant a response. In such a broad and consequential relationship, concerns on both sides are only natural. In the area of trade, the United States has expressed its concern about trade deficits, difficulty in accessing the Chinese market, lack of intellectual property protection, and a higher import duty in China. On the other hand, Chinese business professionals have voiced unease over the U.S. government’s unreasonable protectionism when reviewing Chinese investment in the United States, and the fact that the U.S. has not recognized China’s market economy status at the World Trade Organization. Such disagreements must be worked out in a constructive way, as rash actions on either side could create the environment for a trade war. Despite the rhetoric of competition, the two economies are remarkably complementary. China is short of oil and gas, which the U.S. has in abundance. China has close to 20 percent of the world’s population but only 7 percent of the world’s arable land, while the U.S. has a strong agricultural production sector. With the rapid growth of the middle class, China is becoming a significant consumer market. Rather than imposing a border tax on Chinese goods entering America, or tariffs such as those recently announced on foreign-produced solar panels and washing machines, a better way to reduce the trade deficit would be for China to buy more goods from the United States. There have already been positive moves in this direction. In November last year, China and the U.S. signed agreements that will result in China importing $250 billion worth of goods from the United States. Some Americans have expressed concerns over China’s political direction. However, from the beginning, China never stated that it would adopt an American-style political system. During Dr. Sun Yat Sen’s revolution over 100 years ago, China tried Western-style democracy, but it only brought about serious division within the country. It was not until 1949, when the People’s Republic of China was established, that China was eventually united. Then, it was an impoverished country with little infrastructure, public education, or health services. The country recognized that the best way forward was to pursue Marxism with Chinese characteristics. Despite some ups and downs, China’s peaceful development has had unparalleled success in lifting 700 million people out of poverty, especially since reforms began in earnest in 1978. I am increasingly concerned that U.S.-China relations may become adversarial. The rhetoric and actions taken by recent U.S. administrations—including building up military alliances in the Pacific and moving U.S. military deployment from the Middle East into the Pacific Ocean—have created the impression that America wants to contain China. However, China’s strategic intent has always been to promote peace with its neighbors and the rest of the world. The development of the Chinese military is purely for deterrence and as a means of self-defense. We have no interest in expanding our territory or exporting our ideology. We have no military alliances and have vowed never to use nuclear weapons to strike first. At the moment, we certainly do not see America as an adversary. As President Xi stated, China’s goal for the future is to become “a proud and active member of the community of nations of the world.” We wish to build a more peaceful world where countries can share in their prosperity. Our actions on the international stage have proven this. No country has done more domestically in recent years to take steps to mitigate the effects of climate change. No country has contributed more troops to UN peacekeeping efforts than China. China’s economic growth has contributed greatly to global economic growth, and we are projected to contribute over 35 percent of global growth in the next two years, according to the World Bank. The U.S. and China have achieved remarkable things when working together. In the face of climate change, President Obama and President Xi came together to push the Paris Climate Conference to its successful conclusion. During the Ebola crisis in West Africa, the two countries collaborated resources, and within six months the epidemic was contained. These are reminders of what we can accomplish if we manage to bridge the trust gap that exists between the U.S. and China. Faced with pressing international challenges, such as nuclear proliferation, climate change, terrorism, massive migration and localized conflict, it is essential that we redouble our efforts to work together. We simply cannot afford to be adversarial. C.H. Tung was the first chief executive of the Hong Kong Special Administrative Region (HKSAR) and is currently a vice chair of the Chinese People’s Political Consultative Conference (CPPCC). Do US-China Economic Relations Have a Bright Future Under Xi? Xi, with his power more secure than ever, might pursue the kind of economic changes that the U.S. has been pushing for.